Android phones do need antivirus security. No doubts about that. The number of security attacks on Android phones has increased tremendously in the recent years. So, here's a question for all android users across the globe: what antivirus software are you using to protect your Android device? Here, we try to provide some answers along with the list of security features Android users need to keep their devices safe from various threats posed by the cybersecurity landscape. Virus and Malware Protection: This is obvious and the primary reason for implementing any antivirus product. And considering the rate at which the security threats targeting Android devices are increasing, Android users need a dedicated antivirus software to protect their devices. Anti-theft Protection: Anti-theft security feature comes next. Extremely useful in recovering lost, stolen or mislaid mobile devices, usually with features like location tracking, theft alarms, anti-theft lock and remote wipe, this is another security provision without which Android users can never survive. Traffic Monitoring: Web is where the danger lies. All kinds of malware which penetrate android and other devices are transported via this web. Therefore efficient traffic monitoring (both incoming as well as outgoing from the Android device) can prevent many security issues. Therefore another security provision to look out for while selecting android antivirus. And More: When it comes to taking security measures, no list can be considered as exhaustive. Therefore other security measures like SMS/Call Blocking, Privacy Advisor, Task Scheduler, Software Manager and others, too should be considered to protect your devices against the dangers of cybersecurity landscape. 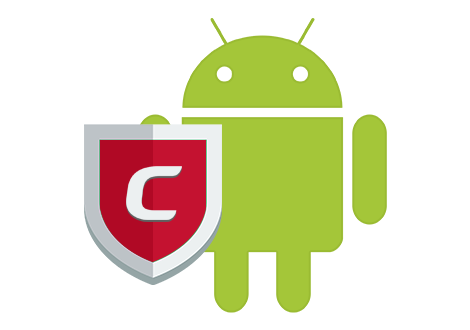 Comodo Free Android Antivirus is easily the best free antivirus app for android in the market. What makes Comodo Free Android Antivirus the best free antivirus app for Android on the market currently is its impressive security features and the fact that all of them are available for free! In fact, it's the only android antivirus in the market which offers all the security features for free!